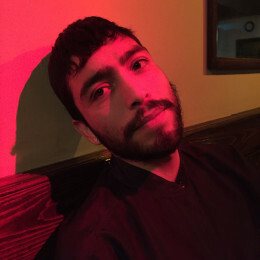 Orlando Tirado is a writer, filmmaker, and independent curator based in New York City. His film Medeas, written in collaboration with director Andrea Pallaoro, premiered at the 70th Venice Film Festival, has screened in 28 international film festivals, won various awards, including the Sergej Parajanov Award for Outstanding Poetic Vision at the Tbilisi International Film Festival, in Georgia, and was released in theaters in the US and France (forthcoming). He is currently writing various projects for screen and stage.